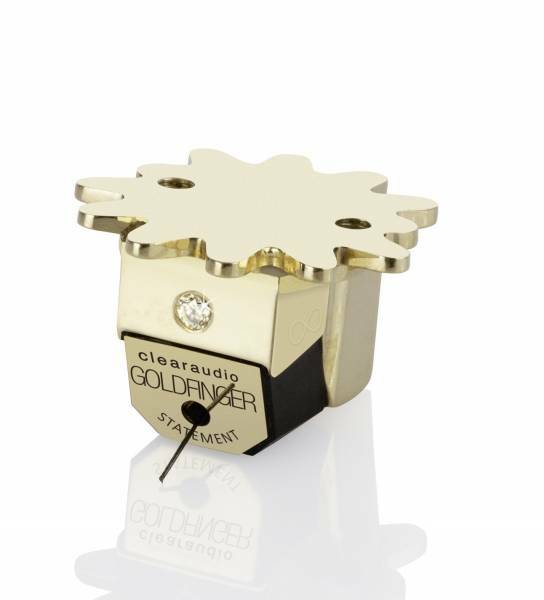 The MC Goldfinger Statement is also the first cartridge with integrated RF shielding. The outstanding sound quality of this world-class cartridge is the stunning result of meticulously detailed development and fine-tuning of all of the important criteria. The breakthrough came with the use of a 30 per cent thinner 24-carat gold wire for the coils, a precision-milled gold mounting for the magnet array and a body made of solid 14-carat gold – essential core components for the ultimate cartridge masterpiece. The world famous Micro HD diamond stylus provides the best detail retrieval of all time. A flawless diamond on its facia beautifully adorns the MC Goldfinger Statement. Peter Suchy calls this miracle of a cartridge 'our magnum opus'. Related links to "Clearaudio Cartridge Goldfinger Statement MC"
Customer evaluation for "Clearaudio Cartridge Goldfinger Statement MC"